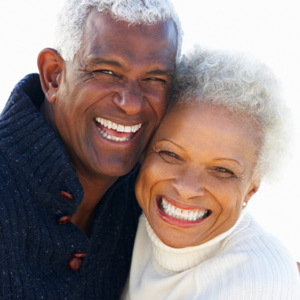 Installing dental implants involves more than the mechanics of placing them into the jawbone. Ultimate success — a natural and beautiful smile — requires painstaking attention to detail and artistry. Here are a few of the factors we must consider to achieve a smile with dental implants you’ll be proud to display. The amount of available bone. For the permanent crown to appear natural, it’s crucial to position the implant precisely. To achieve this precision requires an adequate amount of bone to be present. 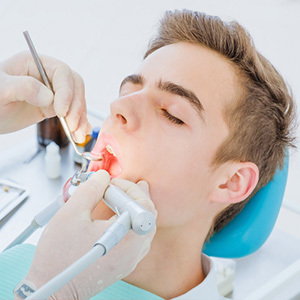 Unfortunately, bone loss is quite common after tooth loss; to minimize this we place bone grafts in the empty socket if at all possible after extraction to encourage bone growth. It’s also possible in some cases to perform bone grafting surgery before implants to build up bone volume. Your genetic gum tissue type. There are basically two types of gum tissue people are born with: thin or thick. Thin tissues are more subject to wear, difficult to work with during surgery and can make it difficult to hide the metal components of an implant. Thicker tissues are easier to work with, but can have a tendency to overgrow. Achieving a natural “emergence profile.” To look natural, the implant crown must appear to seamlessly emerge from the surrounding gum tissue. To achieve this, we must carefully plan and place the implant in the precise location in the bone, taking into account the implant shape and how far it should be placed within the bone to match the position and height of adjacent teeth and gum tissues. Blending color shades with adjacent natural teeth. When it comes to color, everyone has subtle differences in tooth shades and hues. In fact, there are slight color variations within individual teeth, from the root to the tip of the crown. 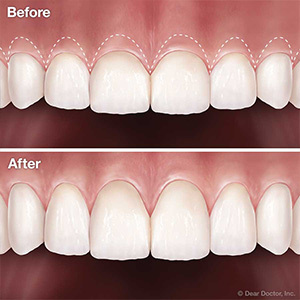 To make sure the implant blends in with adjacent teeth, it’s important to match the color incorporated into the porcelain crown with the natural crowns beside them. These and other factors require both technical expertise and a sense of artistry. 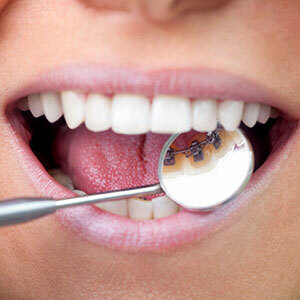 Carefully considering all of them will help ensure your dental implants result in the smile you want.